My fellow team captain Sue was in the Sunday Business Post last weekend (8 November). Congratulations, Sue! In case you don't know (and I didn't! ), the paper calls people who start an online business 'Giggers'. Etsy, the peer-to-peer ecommerce website with about 1,500 Irish members, enables people to set up shops to sell handmade or vintage items online. Sue Graham is captain of the Etsy Ireland team. Originally from London, Graham is now living in Co Cork. She has two websites, Swanky Jewels, where she sells vintage jewellery and her own jewellery, and Amazing Beads, where she sells beads, gemstones and jewellery-making tools. 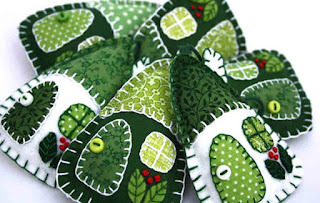 After she set up her own website she heard about Etsy and thought it would be a good way to attract US customers. Both of her websites have their own Etsy stores of the same names. Graham gave up full-time employment because of health issues and then found it difficult to get work as she got older. Graham says nearly half of her sales come from Etsy, and the majority of those sales are international, as Irish customers tend to go directly to her website. Etsy takes 3.5 per cent profit on every item sold on the site. “The way the economy is at the moment, a lot of people have to turn themselves into entrepreneurs to try to make a living, especially in the countryside where work is fairly limited,” she says. Graham says giggers tend to work much more than nine to five, but it is more flexible and she can decide when she wants to work. “It gives you an opportunity to do something you want to do, as well as living life,” she says. 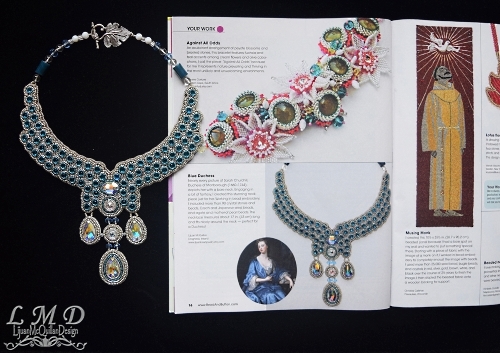 One of our teammates, Lijuan McQuillan, had her bead embroidery necklace, 'Blue Duchess', featured in the American magazine Bead and Button. Well done, Lijuan! Hope it leads to many wonderful sales. So take a look, give a delighted squeal, and share it with all your friends on Social Media and offline! It's good. And very good for us, too! Get your new team badge! We have given our team image a new look. Claire Kamber created our great new team banners and a shiny new avatar. I've played with said avatar, and created a team badge to replace the old one. To add the new team badge onto your blog or any other website, simply right click on the above image to save onto your computer. You can then upload it as required. If you need the link address of the image for coding, again right click on the image and click 'copy link address'. Enjoy your new team badge and display it proudly on your website. Have you recently changed your email? Sue recently sent out a team email and noticed on the sent report that a lot of our active members did not receive the email. We're talking big numbers, ie over 400 sellers! So, we suspect that many of you have changed your email addresses, but did not tell us. 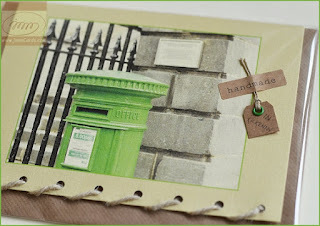 If you have recently changed your email address, would you let Sue know and also check you have changed it on Etsy. Otherwise, you just won't get emails, and may think we're not talking to you...! All content © Etsy Ireland Team.